Our best move of the weekend was Friday, Aug. 15, at Northfield Park when our projected scenario came to life on the “Home of the Flying Turns” and the strong third public choice, All Bets Off, defeated the crowd’s big favorite, Mcwicked. All Best Off ($16.60, $2.40 ns) paced by the two burning out speed ¾ lengths before the wire and won. Mcwicked and Luck Be Withyou could not be separated for second and that dead heat killed the place price. Another, bigger upset can not be placed on our watch. Datsyuk ruined Father Patrick’s revenge race at Tioga by beating him at 25-1. Father Patrick was trotting, though, unlike his gallop jaunt around the Meadowlands in the Hambletonian. He dueled early on the outside but that is little excuse for the powerhouse trotter to have been short a few steps at the wire. Dancin Yankee was not an upset but he defeated our choice, Heston Blue Chip ($5.20, $2.90), in the Joe Gerrity Memorial at Saratoga. That exacta (Dancin Yankee was the overwhelming favorite) paid $16.80. In the frosh stakes at Mohawk we were no better than second in two Nassagaweyas. We had Cowgirl Tough ($7.20, $2.10) with the favorite for an exacta worth $32.10, as well as Go Daddy Go ($3.70, $3.20) among the colt affairs. Our choice from last week won the Gold Cup & Saucer but this week we went with the fifth-place finisher, Scott Rocks, due to win-mutuel offerings. We were second in the consolation with Mach Wheel ($2.50, $3 ok). Our opening essay for this year’s Breeders Crown Countdown blog is now on line. We will be linking to it for coverage of races through the rest of the season leading to the championship events in November. The H2W results list across-the-board prices. Also, exactas are included when a H2W horse finishing first or second completes the result with a race favorite or another H2W horse listed in the same race (an asterisk appears when both horses were listed to complete the exacta). This week, there were 35 active horses on the H2W list. Returning from an eight-month layoff after being treated for a knee fracture, I Luv The Nitelife, now four, finished fifth in a fillies-and-mares pacing event at Mohawk on Aug. 15. She was sent to the top by driver Jack Moiseyev and set quick fractions. After a 1:23.3 three-quarters 35-1 Hope For Paddy challenged her. That one passed “Nitelife” and held off a closing American In Paris (which finished second). Nitelife faded to finish behind four others in the seven-mare field (a $27,000 event). The newest harness track, Hollywood Gaming at Dayton Raceway, is set to open in October. The track operates in lieu of Raceway Park, the Toledo half-mile that closed last season when Penn National Gaming, Inc. purchased the facility and received permission to move the track so it is part of a new Ohio casino spread. The five-eighths oval has a ship-in barn for horses that will race Mondays and Wednesdays through Saturdays through Dec. 27 in 2014. In 2015, Dayton plans to open after Labor Day to race through the end of the year. Yonkers Raceway has received approval from the New York State Gaming Commission to conduct a half-dozen Sunday matinee cards—from Nov. 9 through Dec. 14, inclusive—as part of a new wagering relationship with the French pari-mutuel agencies. The races are to be televised and wagered on through much of Europe. First post of these trotting-dominated programs is scheduled for 11 a.m. ET, with more information regarding field sizes and race distances as it becomes available. Six Sunday cards replace five Tuesday evenings (Nov. 11 through Dec. 9, inclusive) on the live schedule. On the night of the Carl Milstein at Northfield, trainer Mark Headworth had three of his students racing in three different events on the card. In Race 3 his horse won and paid $12.40; in Race 12 his horse lost at 8-1; in Race 14 his horse won and paid $49.20. Keep Mark in mind as a trainer to watch. You won’t hear about him from the track publicists or handicappers because they are calculating top trainers by raw wins, not win percentages or win prices. 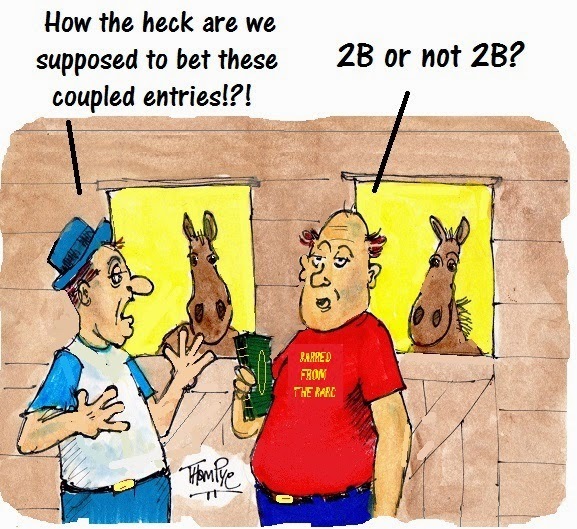 It was tough going for Illinois’ hottest harness fair in Springfield recently when a precautionary quarantine affected horses and the usual racing schedule was disrupted with cancellations. Thirty-three horses were isolated based on a horse having shared barn space at Balmoral with a horse showing symptoms of equine herpes virus. State officials took measures to prevent any possible spread of the equine herpes. While being tested, the opening programs of the harness meet were cancelled. Bad weather also contributed to nixing cards. When the horse in question was tested and the results were negative, Springfield continued its fair meet. Currently it looks like article is the top blogging platform available right now.